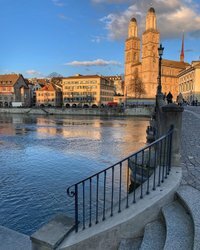 Hand in Hand: Quality and Sustainability at Zürich TourismZürich. Your sustainable city trip. Zurich is well on the way to becoming a so-called “smart destination”. Comprehensive efforts to promote quality and sustainability go hand in hand. 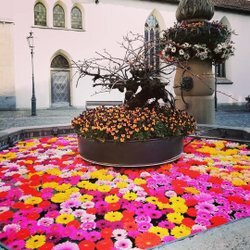 As an organization, Zürich Tourism actively promotes quality and sustainability and, in collaboration with its partners, is systematically implementing this philosophy: top positions in international rankings underscore this commitment. Zürich Tourism has been awarded the Quality Label, Level III of the Swiss Tourism Federation (STF). In this way, it intensively endorses the notion of providing top quality in the Zurich tourist region. At the same time, Zürich Tourism actively promotes ecological, economic and social sustainability, and has been leading by example in this respect since 1998. Both its staff and its service providers are wholeheartedly committed to this idea. In 2009, Zürich Tourism signed the Sustainability Charter drawn up by the Swiss tourism industry. The organization has been certified according to ISO 9001 and ISO 14001. In addition, since 2010, Zürich Tourism has been offsetting all non-avoidable CO2 emissions in collaboration with the myclimate foundation. On doing so, it supports an international climate protection project. In line with the measures adopted by both the City (Strategy 2035, Smart City) and Canton (Cluster Strategy, innovation park) of Zurich, in the long term Zürich Tourism is pursuing the vision of becoming a so-called “smart destination”. As a destination, Zurich regularly dominates the top positions in global sustainability rankings - such as 1st place in the Arcadis Sustainable Cities Index 2016 or 2nd place in the Mercer Quality of Living Ranking 2019. 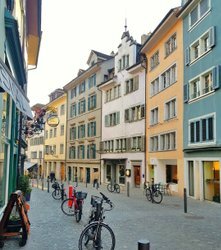 Furthermore, Zurich is one of the most sustainable congress cities in the world, achieving the seventh highest number of points in the Global Destination Sustainability Index (GDS). In 2017 Zurich supported the International Year of Sustainable Tourism for Development endorsed by the UNWTO (United Nations World Tourism Organization) as a “Friend of the Year”. Tours and excursions that are climate-neutral are indicated on this website by the green leaf symbol. Climate-neutral means that either no harmful emissions are generated or that they are offset via the myclimate foundation. Learn more about climate change and protection in Zurich on the myclimate Audio Adventure. Further tips for environmentally conscious travelers can be found in the brochure, «Tips for a Responsible Traveler», published by the World Tourism Organization (UNWTO).